Despite his immense popularity in the entertainment business as a stand-up comedian, Jim Carrey had his career breakthrough in the movie industry after he was cast as the lead actor in the universally acclaimed comedy film, Ace Ventura: Pet Detective. 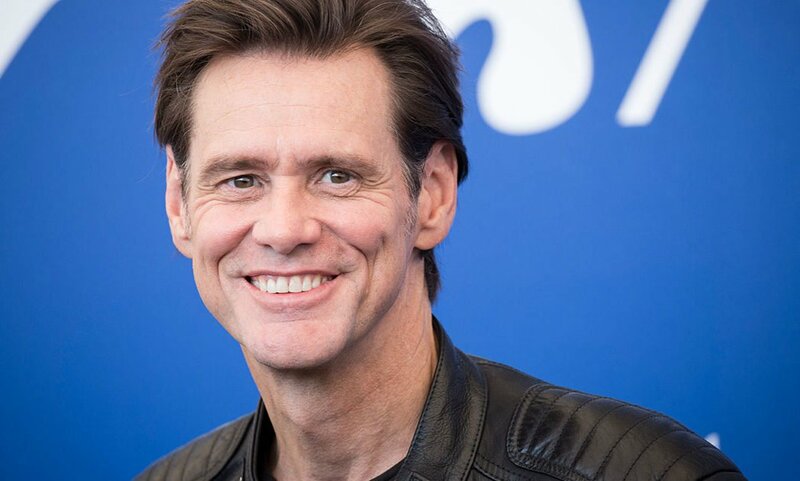 Like most notable entertainers, Carrey started out as a comedian with the help of his father who drove him to the popular Toronto comedy club, Yuk Yuk’s, for his debut performance and also helped him financially. It was in the course of his comic performance that he was discovered by American top-notch comedian and actor, Rodney Dangerfield, who later signed Jim to kick off his tour performances. After working with him for some time, Rodney decided to move Jim to Las Vegas, where the latter lived briefly before relocating to Hollywood. While in Hollywood, the stand-up comedian started making appearances in comedy shows around the city. He was particularly popular for showing up at the iconic The Comedy Store. He also did a stint in 1982 at An Evening at the Improv, after which he made his first appearance on The Tonight Show. Hugely loved for his energetic slapstick performances, the year 1994 was very favorable for the star as it gave him the opportunities to feature in top-grossing Hollywood blockbusters which included Dumb and Dumber (grossed over $270 million), The Mask (earned him his first Golden Globe Award nomination for Best Actor), and Ace Ventura: Pet Detective, which shot him to an immense stardom. Jim Carrey is the son of Kathleen Carrey and Percy Carrey who are of Irish, Scottish, and French ancestry and French-Canadian descent respectively. Born to a mother who was a homemaker and a father who worked as an accountant and musician, Jim was raised a Catholic along with his three older siblings whose names are Rita, John, and Patricia Carrey. The stand-up comedian was born James Eugene Carrey on January 17, 1962, in Newmarket, Ontario, Canada. Talking about his educational achievements, the A-lister began his academic journey at the Blessed Trinity Catholic School, where he had his elementary education. He later studied at Aldershot High School, Northview Heights Secondary School, in Toronto, and Agincourt Collegiate Institute. Had it been Carrey didn’t pursue a career in the showbiz business, the comedian would probably be working at the popular Hamilton-based steel company, Dofasco steel mill. According to the star, he fell in love with the steel mill while living in Burlington Bay. At the time, he said, he saw the mill as a place where great people work. Today, the stand-up comedian is ever grateful that he pursued a career in the entertainment industry and that he has been able to achieve a lot in life through the same profession. Over the course of his robust career both on the stage and in front of the camera, Jim has amassed an impressive fortune valued at $150 million. At the moment, it is not known how much the star, who has his versatility to thank for his enviable success and height in the show business, makes annually as salary but we are pretty sure it is befitting. Jim Carrey has a beautiful daughter called Jane Erin Carrey. She came from his first marriage to actress Melissa Carrey. Carrey tied the knot with Erin’s mother on March 28, 1987, and they gave birth to her (Erin) on September 6, 1987, in Los Angeles, California. Jim’s marital relationship with Melissa only lasted for 8 years, and it was dissolved on December 11, 1995. Their daughter is married to musician Alex Santana who she married in 2009 and their union is blessed with a lovely son named Jackson Riley Santana (born February 26, 2010). Besides Melissa, Carrey also had a short-lived marital relationship with Canadian-American actress, Lauren Holly, whom he wedded on September 23, 1996. The pair relationship, however, crashed after a few months, leading to their shocking divorce on 29 July 1997. Jim’s relationship with his second didn’t produce any child. Is Jim Carrey Dating, Who Is His Girlfriend? It is difficult to tell if the Hollywood celebrity is dating someone or who his girlfriend is. This is because ever since he called it quits with his last girlfriend, he hasn’t been in an open relationship. Jim is said to have dated popular American producer and actress Renée Zellweger. The pair’s much-publicized relationship, however, didn’t last long, even after they got engaged from 1999 to 2000. Carrey also had a brief romantic affair with Illinois-born actress and model Jenny McCarthy, which began in 2005 and got publicized in June 2006. The couple, however, ended their stormy relationship in April 2010 but remained good friends, as stated by Carrey in October 2010. The stand-up comedian also dated American make-up artist Cathriona White after they met in 2012. White later died of drug overdose in her Los Angeles home in 2015 after she broke up with Jim in 2013. As someone who often performs in front of large audiences, Carrey’s height has been of great help to his career. The Newmarket-born accomplished comedian stands at a height of 6 feet 2 inches while his weight is put at 84 kilograms. Is Jim Carrey Dead or Alive? Jim Carrey is very much alive but was once a victim of a death hoax as he was reported to have died in a snowboarding accident in 2016. The report later turned out to be false and misleading. At the time of this writing, the NewMarket-born A-lister is kicking strong.